Cordaid’s humanitarian aid program provides needs-based humanitarian aid to people affected by natural or man-made disasters. Our aims are twofold: to save lives and to strengthen communities in coping with future crises. People affected by disaster have incredible capacities for survival and recovery. We believe their participation in humanitarian programs is therefore essential. Our humanitarian assistance complies with the principles of humanitarian aid – humanity, neutrality, independence and impartiality – and respects International Humanitarian Law. When disasters occur, Cordaid provides emergency responses to ensure that basic human needs are met. We do this in collaboration with local partners and communities and other key humanitarian aid actors. Our aim is to save lives and to make sure people are properly protected, even in life-disruptive situations. At the same time, our Resilient Recovery approach strengthens the ability of communities to anticipate, adapt and respond to future hazards and shocks. We enhance the capacities of local humanitarian actors to prepare and respond timely, effectively and appropriately to unfolding hazards and disasters. We reinforce and complement existing local capacities and partner with other international organisations to obtain maximum results (scope, scale, and speed) with quality interventions that meet the international principles and standards for humanitarian aid. Cordaid’s Humanitarian Aid Unit offers support to local implementing organisations and offers program assessment, development and implementation services. contingency & preparedness planning with relevant stakeholders. 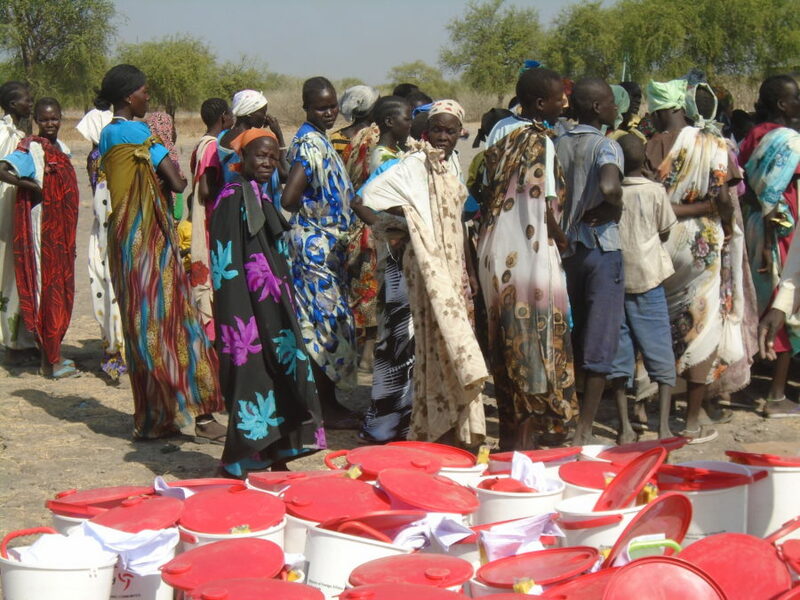 Women in Unity (South Sudan) waiting for basic non-food items. integration of protection in humanitarian programs. We develop and facilitate community recovery processes that increase communities’ resilience to absorb and recover from hazards and shocks. Methodologies we use are participatory risk assessment and community action planning. We provide technical assistance to rehabilitate basic infrastructure (mostly shelter and WASH, health & community centres and schools, drainage systems, roads, livelihoods). We make infrastructures and community systems more resilient to future hazards. For example in locating and building hazard resistant housing and water systems, and by increasing community knowledge on hazard resistant features. We strengthen community organisations and local capacities to address hazards and disasters. Community preparedness, risk mapping and action planning by communities continues after Cordaid has left.